Sooooo this week and last week I did some thrift shopping. Whats new? lol Its a habit, and by the looks of my wallet its a good habit. The handbag with the cute bear was only a dollar, I bought it at a Unique Thrift Store. I also bought the scarf that same day for a dollar. Next to the purse, there is a picture of some dresses I found this week. They were all $3 dollars and under and also from Unique. 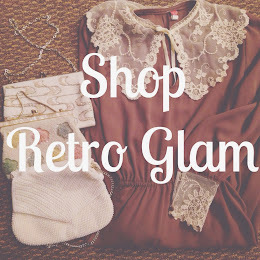 Now why is it that most of the cute collar vintage blouses I find are either cream or white?? I must have like ten of them already. But I'm excited to wear them this fall under sweaters and cardigans (I might have to cut the sleeves). Next to the blouses is a cute vintage pitcher perhaps from the 60's. I need to do some research. 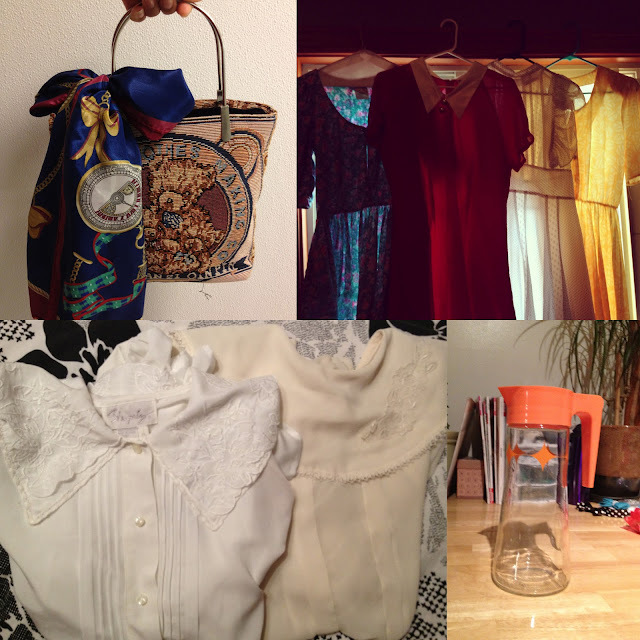 And that sums up my thrifted treasures from the past two weeks. Have a lovely weekend everyone. Don't be surprise if I return for another post. Sara, it takes me a few trips but I'm always happy with what I find. Thanks Ally! For sure two of them will be in my shop.